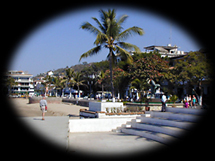 "Villamex - Mexico vacations under the sun to Puerto Vallarta, Cabo San Lucas, and other Mexico destinations! Enjoy snorkeling, scuba diving, hiking, whale and bird watching, parasailing and more! Visit Villamex today!" For a large family reunion, a corporate retreat, or a romantic getaway, we have the perfect place to stay in beautiful Puerto Vallarta. Please fill out and submit the form below to receive a video & More Information about our trips. Which of our vacation areas would you like to receive information on? To select more than one...SHIFT - Click the selections. How did you here about Villamex? Contact VILLAMEX for more information. Design & Hosting © 2001 - Merlin Corp.